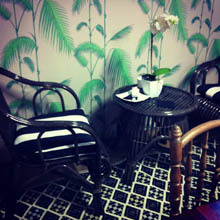 Modern, shmodern! When it comes to fashion and design, whatâ€™s old is new again. It is as though all of the quirky, vintage bits and pieces you drool over on Pinterest (while you should be researching for that assignment or work presentation) have rallied together to create these trendy goldmines of retro frocks, furniture and, you know, the stuff of goddamn dreams! The Woolloongabba Antique Centre is Brisbaneâ€™s answer to Aliceâ€™s Wonderland. Be warned: an hour will feel like five minutes wandering around this whimsical utopia of whacky and wonderful surprises, so clear your schedule if you are planning a visit. Brisbane’s largest antique centre, this humongous industrial warehouseÂ has it all. 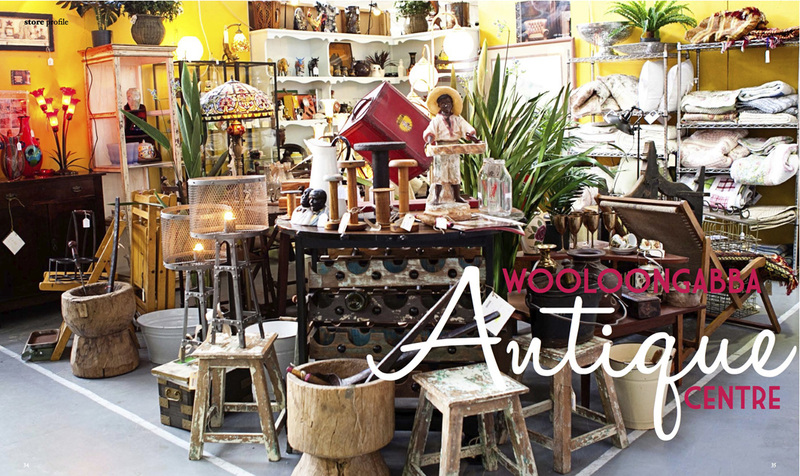 From eclectic homewares and Mid-Century furniture to vintage clothing and jewellery, the Woolloongabba Antique Centre has a modern approach to antiquing that appeals to the younger generation. 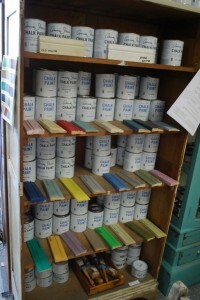 The very popular Annie Sloan chalk paint is also stocked here, including her famous Duck Egg Blue. These gorgeous vintage huesÂ can be used to freshen up your most treasured pieces, or give them an historical feel. So on trend. 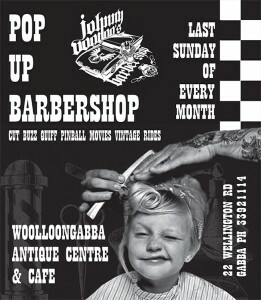 Don’t forget to visit the 1950’s milk bar style Cafe, where you can don your favourite Mad Men style dress and cat eye glasses while you listen to Elvis.Â If you would like to go the whole hog, visit the Pop Up Barbershop, and leave looking like you’ve just stepped off the set of Grease. Don’t forget the red lippy. The Woolloongabba Antique Centre is located atÂ 22 Wellington Road, Woolloongabba. 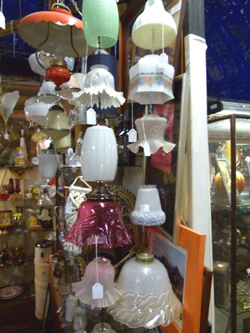 The Paddington Antique Centre may not be quite as trendy and modern, and may have a little more dust collected, but it is still any collector’s dream. With so many knick-knacks and retro memorabilia, you will not only leave with something for yourself, but the perfect gift for a friend or family member too. 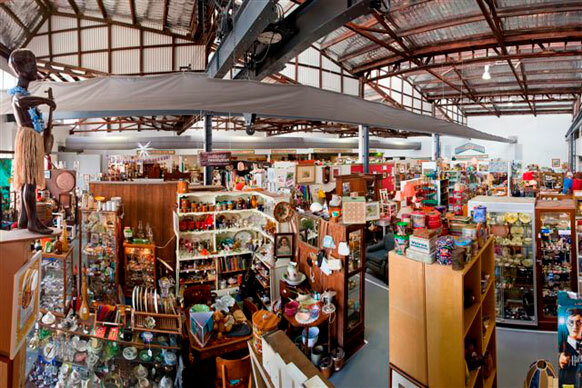 From historical militaria to beautiful glassware and china, the Paddington Antique Centre is worth a visit from both genders and all ages. They also offer plenty of buttons, linen and haberdashery from around the world to satisfy you crafty cats. 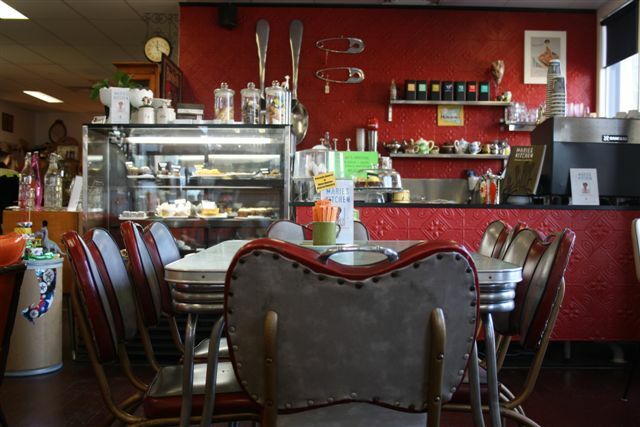 When you are feeling weak and require sustenance after your marathon of trawling through antiques, The Paddington Antique Centre also has a retro style cafe that offers delicious coffee and meals to get your energy back up, and get you back out there. Happy hunting! 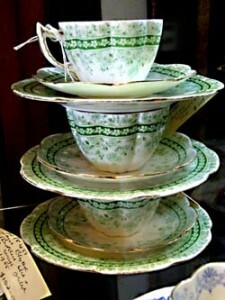 The Paddington Antique Centre is located at 167 Latrobe Terrace, Paddington. Images from Woolloongabba Antique Centre and Paddington Antique Centre’s websites.